Derma Sciences BIOGUARD Barrier Dressings have been proven to prevent bacterial penetration and inhibit growth within wound dressings. 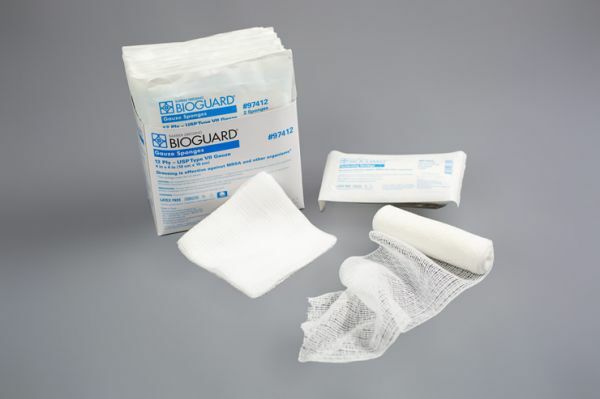 BIOGUARD dressings provide a barrier to bacterial penetration and results in >5-log (99.999%) kill of a broad spectrum of microbes including antibiotic resistant organisms. PolyDADMAC is a cationic biocide that attracts bacteria and binds with it, disrupting and destroying the cell wall. 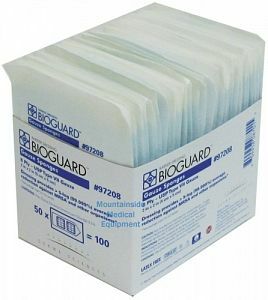 PolyDADMAC is the active component within BIOGUARD. These dressings are non-toxic to healthy cells. BIOGUARD has a patented manufacturing process that makes it the only dressing that is non-leaching, non-resistant and non-toxic. It is available in 6 different forms: Island Dressings (Adhesive border), Conforming Bandage, Gauze Sponges, Gauze Roll, Non-Adherent Dressings, and Packing Strips. Please Contact Us for pricing and additional information.